UK basketball fans across the country and the Kentucky have been e-mailing, calling and visting BourbonBlog.com because of the popularity of the Maker’s Mark/Keeneland annual limited edition charitable bottle this year honoring University of Kentucky basketball coach John Calipari as we originally told you about it in this story. Tthousands Maker’s Mark lovers in Kentucky lined up today to buy one of the 24,000 bottles being released at liquor outlets and reported disappearing in less than one hour. However, Bourbon lovers and University of Kentucky Fans still have a chance to get a bottle, but without the Bourbon. Watch the video interview below and keep reading! Maker’s Mark just released 8,000 additional commemorative empty Maker’s Mark limited edition Calipari bottles. The Calipari Family Foundation for Children (CFFC) will be the beneficiary of all proceeds from the additional release. The empty bottle will cost $49.99 and is available exclusively from CFFC by visiting http://coachcal.com or http://caliparifoundation.org. “Ellen and I would like to thank Bill Samuels, Maker’s Mark and Keeneland for making this special edition empty bottle to help support our Foundation. 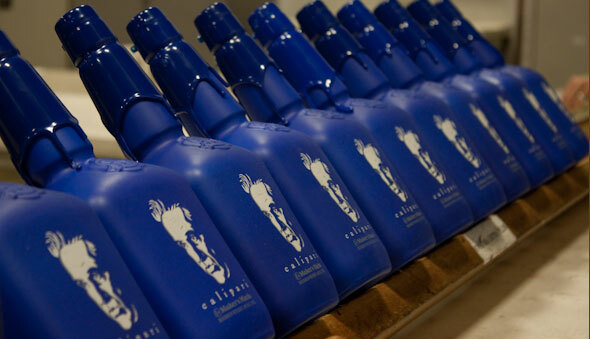 By not including alcohol in the bottles, we are able to ship these keepsakes all across the world and allow the Big Blue Nation to share in the commemoration of our first fabulous year in the Bluegrass,” Coach Calipari tells BourbonBlog.com. The collaboration between Maker’s Mark and Keeneland, Kentucky’s world famous bourbon and its historic thoroughbred racetrack and sales company, respectively, could result in nearly $250,000 for the CFFC.